API is proud to offer the best in decorated gifts for all areas of the federal government. We offer thousands of products coupled with over 25 years of experience. Let us help you improve your selection of items and come up with ways to stretch your budget. Contact us for free information or samples. 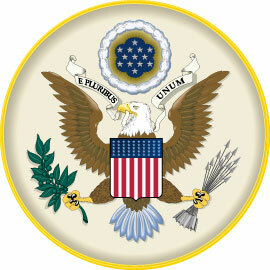 We also stock thousands of products for various areas of federal government. Note: Since some items are not available to the general public, therefore we reserve the right to require proof of affiliation and/or limit delivery to authorized government offices. Please click below for more information on what we stock for your department or division.